Crypto-currencies and digital cash systems have become a key way for cyber-thieves to launder stolen funds, suggests research. Alongside its use in ransomware, virtual cash was also helping clean up other sources of stolen cash, said criminologist Dr Mike Maguire. Bitcoin's anonymity made it attractive to tech-savvy thieves, he said. Dr McGuire drew on interviews with cyber-thieves, police reports and dark web searches for the study. Between $80bn (£57bn) and $200bn of cash generated by cyber-crime is laundered every year, said Dr McGuire drawing on a study by US analyst firm Rand released in early 2018. A significant chunk of that cash is piped through various crypto-currencies and digital payment systems in a bid to hide its origins, said Dr McGuire, who carried out the research for security firm Bromium. The study sought to understand the wide range of methods that cyber-crime gangs used to clean up cash they extract from individuals and businesses. Evidence of its attraction could be seen in the case of Russian Alexander Vinnik, who is accused of laundering more than $4bn in bitcoins for various cyber-crime groups via the BTC-E exchange, added Dr McGuire. 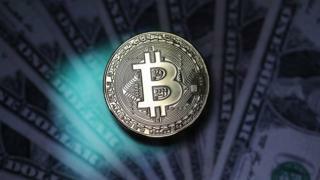 He said it was "no surprise" to see cyber-thieves quickly adopting virtual currencies for money laundering. "The attraction is obvious," he said. "It's digital, so is an easily convertible way of acquiring and transferring cyber-crime revenue." The growth of property sites that accept virtual cash payments for apartments and even private islands could help criminals launder the large amounts of money some had accumulated, suggested Dr McGuire. Many police forces around the world had reported seizing assets from criminals that included bitcoins or accounts held on other digital and virtual payment services. In London, the Metropolitan Police had warned that drug dealers were using cash machines that generate bitcoins as a way to instantly convert the proceeds of their transactions to a less traceable form. On the dark web, virtual cash was also hugely popular, said Dr McGuire, citing the case of the Silk Road drug market that took payments in bitcoins. Ross Ulbricht, who ran the site, accumulated more than $28m in bitcoins while it operated. The growing use of bitcoins by criminals had drawn attention from police and other law enforcement agencies, said Dr McGuire. This, and research which suggested most bitcoin transactions leak ID information, had led some criminals to seek alternative means of laundering money. Anonymity had become "key", he said, with some turning to systems such as Monero that had been designed to be more anonymous or so-called tumbler services that try to obscure transaction origins. Some crime groups has also started to use in-game currencies as a way to move money around, said Dr McGuire. The strong gaming cultures in China and South Korea had made these hot spots for this type of laundering, he said. Other groups were seeking to hide their laundering activities by making lots of small payments via web and phone-based cash transfer schemes. The growing use of all kinds of digital cash was likely to vex police forces and other investigators, said Dr McGuire. "Revenues that previously would have flowed within proven and well-established banking systems and could be traced are now outside of its jurisdiction," he said. "This hides the money trail and confuses law enforcement and financial regulators."